They must be sensitive, data-rich and survive tough conditions. Industrial labels must withstand some exceedingly tough conditions. Changes in moisture, temperature and debris are just a few of the unpredictable factors that affect them. Manufacturers want labels that are attractive and functional in all sorts of exceptional conditions, while holding up well during travel and storage. The demands of Industry 4.0 are making matters even more complicated. As factories digitalize and serialization regulations are enforced in a variety of sectors, the amount and complexity of information included on labels mounts. In addition, as the Internet of Things (IoT) increasingly dominates supply chain operations, smart warehousing is making its own demands. Features such as automated inventory management, RFID solutions and barcode scanning are growing in popularity. Labelling solutions must respond in kind. Many industries, such as oil and gas, industrial chemicals and construction mandate bar codes and fine print to be visible no matter how much information is required. Take MSDS labels: barrel and jug labels, as well as WHMIS and dangerous goods placards, are integral to the safe transport of chemicals. To be both rugged and smart, the technologies used for printing, barcoding, scanning and labelling require careful consideration. Today’s state-of-the-art digital inkjet presses print an array of PMS colours and provide in-line UV protection and lamination. There are numerous options for label design and applications, and greater durability for extreme environments without yellowing or fading. Barcode technology is essential to smart warehousing and supply chain management. Durable labels enable efficiency, automation and speed in the handling of inbound and outbound inventory, all of which has a direct impact on the bottom line. This technological wave started with pharmaceuticals and is now expanding to other industries, such as those benefiting from tighter anti-counterfeiting measures. Key areas of technology investment include mobile scanning devices, scalable inventory management software, and the ability to apply barcodes both horizontally and vertically on a wide variety of materials. Other solutions include pre-printed LPN barcode labels to track moveable units such as pallets, cartons and cases; tote and shelf labels; and overhead barcode signs or floor plate kits with barcode labels to identify inventory stored in bulk locations. Modernizing equipment is critical. Updated coding equipment ends the practice of hand-applying stickers, which often contain poorly printed date coding, damaging the overall look of packages. Newer equipment prints precise, clear date/production codes as labels are dispensed by the applicator. Information is added to a designed-in space – making mission-critical data both aesthetically pleasing and easy-to-read. Scanner manufacturers know speed and accuracy are directly related to workforce productivity, throughput, quality and customer service. Excellent scanners capable of standing up to tough environments are available from many reputable suppliers, including Zebra and Microscan. Zebra’s ultra-rugged scanners capture barcodes in the warehouse and on the manufacturing production line, where every second counts. 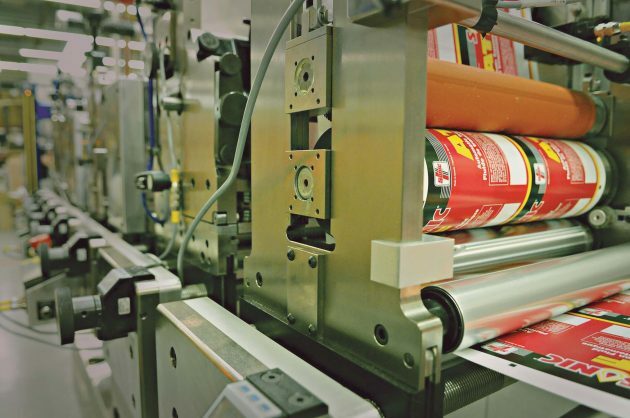 Label applicators, though fairly rugged by nature, need to be carefully vetted before purchase. Premium brands usually offer better performance in harsher conditions. Thermal printers are also available in rugged versions. SATO offers a line of industrial printers, including its CL4NX, a best seller. Zebra’s ZT400 series is another good choice. For those looking to go beyond barcode scanners, RFID offers a longer scanning range. Systems can be set up so your tag is read without being seen. Advancing your labelling capabilities by automating and streamlining processes will help minimize the downtime of your marking systems. Darrell Friesen is CEO of Jet Label, a manufacturer and printer of labels and printed tape based in Edmonton. Visit www.jet-label.com. Dan Stickney is general manager of sister company Jet Marking Systems. Visit www.jet-marking.com. This article appeared in the October 2018 print edition of PLANT magazine. Machinery manufacturers: How’s your service?